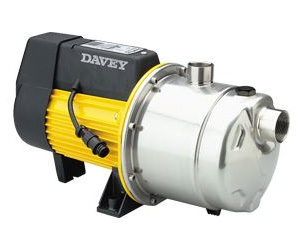 The Davey Rainbank KRB3 comes with a very high pressure jet pump and the Rainbank II electronic pressure controller. The Rainbank controller provides seamless switching to a mains water backup supply in the event that your tanks are empty. The Rainbank KRB3 comes with a two year warranty, and requires installation by a licensed plumber.